There are very few people who really do enjoy house cleaning. Most often, it’s a chore that gets left undone because it’s hard work that has to be done over and over again. If you are looking for house cleaning tips that can help make the process easier, our pros at Spotless Cleaning Services can help. As professionals in the field, we have trained and gained experience in effective and efficient house cleaning methods. 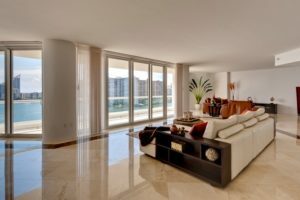 We use these processes every day to clean homes and businesses in Miami. With all house cleaning jobs, keep in mind that there are some things you can do to make this time and the next time easier. Even if you have a regular cleaning service, there will be tasks to do in between services. So hopefully these great house cleaning tips will help you get the job done faster and better than ever before. Cleaning a room with a top-down method makes the job much easier and more efficient. Start cleaning from top to bottom. More importantly, start dusting at the point highest and further away from the doorway of a room. Dust downwards to the floor. When dusting walls or sides of furniture, dust downwards towards the floor as the dust will fall there and will be picked up by the vacuum. If lamb’s wool dusters fill with dust, just give it a hit against your other hand and the dust will fall for vacuuming up at the end of the room cleaning. When you have cleaned everything in the room, as you have worked your way back to the door, pull out the vacuum and give the floor a clean. Use clean cloths and cleaning tools each time you start to clean. The best idea is to clean all your cleaning tools at the end of each cleaning session. I know this is probably not what you feel like doing right now, but it makes starting your job next time so much better. When using cloths to clean, fold them in quarters before starting any cleaning task. When one side gets dirty, refold it and start again with a clean side. So many people scrunch up the cleaning cloths while using them but the dirt keeps covering the edges of the folded pleats in the cloth while the majority of the cloth stays clean. If you are cleaning the home by yourself with no help from a maid service, you will need all the tools to get the job done. Otherwise, it will take longer and be harder. Invest in a good vacuum with hoses and attachments that allow you to vacuum drapes, upholstery, ceiling fans, and light fixtures. You will need an assortment of cleaning products and other tools. Just make sure they are quality made and the cleaning will be easier. If you only do supplemental cleaning between services, you don’t have to invest in many tools or cleaning products. Keep a spray bottle of your favorite cleaning solution under the kitchen sink and bathroom sinks so you don’t have to carry them from room to room. Also, you will need a floor vacuum that will work between regular cleaning service. Have a small stock of cloths or sponges. Lamb’s wool dusters are great for cleaning places like walls, baseboards, and wooden blinds. There may be some surfaces where you can actually vacuum the dust up but to do this make sure that the suction control hole is open as this will reduce the suction at the end of the hose. These areas could be furniture, heavy curtains and the like. I know many people will dust through a house and then go back and vacuum the house but what happens so many times is that the house gets half cleaned, an interruption occurs, and before you know it, the work doesn’t get finished. Then things pile up and you wonder if it’s best to just hire a professional cleaning service. If you are looking for a professional cleaning service to make house cleaning as easy as possible, look for a company who offers the most services. If all they do is vacuum, mop, and clean bathrooms and kitchens, you will have to find someone else when you need the upholstery and drapery cleaned or need the pantry and refrigerator cleaned out. 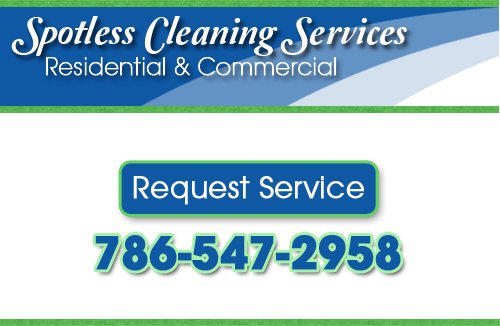 If you would like to learn more about House Cleaning In Miami, please call Spotless Cleaning Services at 786-547-2958, or complete our service request form.